Characterize the response of corn hybrids and their interactions to fungicide, nitrogen and seeding rates across spatially variable landscapes using in-season crop sensors. Characterize the response of wheat to nitrogen rates, nitrogen sources, nitrogen timings and fungicide applications for protein and grain yield of hard red wheat, and for primarily yield in soft red wheat. Determine if soil properties and topography are correlated to the variability in yield and protein responses by site-specific management zone. Create a partial budget for both corn and wheat studies with site-specific management. The optimization of applying inputs using a precision agriculture approach has the potential to increase input use efficiency and reduce environmental impact. The development of statistical approaches and experimental designs will allow researchers to test hypotheses in precision agriculture to analyze and compare multiple treatments as they vary spatially across farm fields. 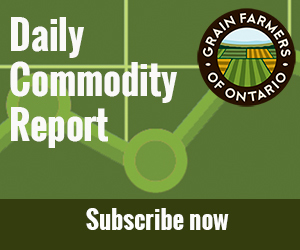 Agricultural producers adjust crop inputs based on current recommendations. Inputs are usually applied at the same rate across entire fields. Variable responses to agronomic inputs represent opportunities to optimize inputs across the field, which is the essence of precision agriculture. Site-specific management uses “field prescriptions” to apply different rates and inputs to different areas of a field. However, scientific data are lacking in determining the magnitude of agronomic responses to inputs across variable landscapes, especially in Ontario. Optimization of input placement would increase profitability for the grower and reduce environmental impact. Small-plot and field-scale-strips have been used extensively in Ontario, in former SMART projects for example, but little is known how corn and wheat respond to inputs in specific positions, spatially, across a variable landscape. Optimization of input placement in the field would increase profitability for the grower and reduce environmental impact. A better understanding of the causal nature of site-specific responses are needed, and thus soil and topography will be characterized spatially as potential management zones for each field. Two previous OFIP projects (2014-2015 – OFIP 0060 and 0061) showed that corn and wheat performance response to agronomic inputs varied significantly across fields. This work also determined the economic profitability of site-specific management in the fields studied. As the two OFIP projects each lost a field site because of weather, another project was needed to complete a dataset with more environments and to complete the M.Sc. theses of two graduate students. The primary objective of this project was to characterize the spatial response of hybrid and agronomic treatments in corn, and in soft and hard red wheat, and to associate them with predictive variables in management zones for site-specific management. Some areas of fields may be more responsive to management compared to other areas of a farm field: under-application of an input in a responsive area would result in lower productivity and profitability; while excessive inputs on non-responsive areas of farm fields would also reduce profitability, but the environmental impact due to off-site movement may be most concerning. This project explored the reasons why these areas may be responsive or non-responsive. This information would have direct application to other fields. Crop responses to agronomic inputs may be predicted based on soil and crop sensor information; this project will help develop the technology for using sensors to predict spatial input allocation. In total, 14 field-scale experiments were installed on farm fields in southwestern Ontario. Fields were selected with known spatial variability. All treatments (i.e., various inputs) were installed as “treatment learning blocks” or “stamps”; each learning block was positioned in a relatively uniform area of the field, but was replicated across each field to represent contrasting characteristics (soil properties and/or topography) across the field. For corn, the response to plant population, N rate and fungicide depended on both the hybrid and spatial position in the field, as analyzed (unconventionally) using spatial position as a variable using statistical software. In soft red wheat, the grain yield response was highly depended on N rate and fungicide, while N rate, N source and N timing affected both grain and protein of hard red winter wheat. Similar to corn, these responses in soft red and hard red wheat varied spatially across the fields. Soil characteristics were compared between the most and least responsive zones in each field; crop responses were only weakly associated with each soil characteristic (mainly soil fertility, pH, soil organic matter, CEC), which detracts from the potential of predicting the placement of inputs spatially in precision agriculture. It is expected that the variability in predicting the responsiveness of zones to inputs would be even higher when temporal variability is factored into the process. This work has produced one HQP as a M.Sc. (Ms. Doria Ali), with another expected to complete her studies in April 2018 (Ms. Lauren Deshaw). 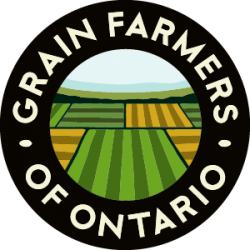 Previous work on this project was funded in part through the Ontario Farm Innovation Program (OFIP) and was completed through Growing Forward 2 funding.